Very happy Christmas to all of my readers. Hope you have planned a grand celebration of this festive season with your family. These days I have become bit irregular but this time you can't blame my laziness. My laptop had a major technical issue and couldn't do any work until I bought a new one on cyber Monday. Hope I would be more consistent from now on. In last couple of weeks, I prepared few recipes in my draft but confused which one to share first. 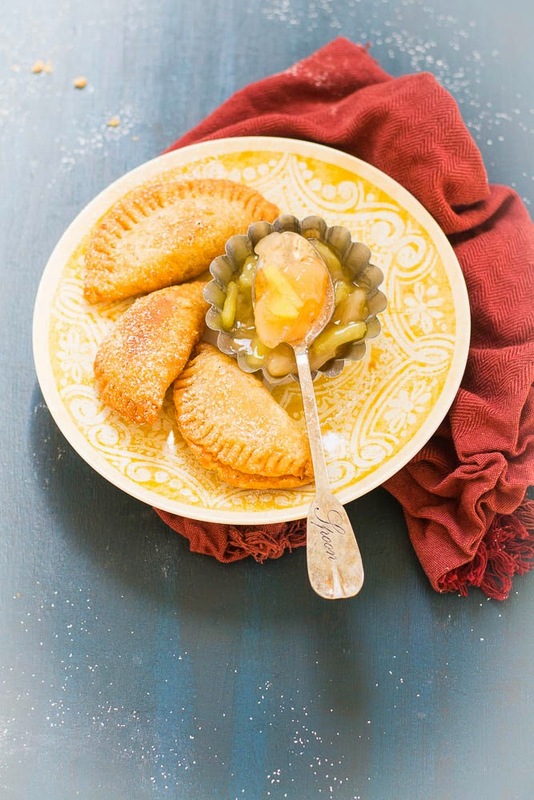 After giving some thought, I chose to share a quiet uncommon snack / dessert recipes that is called Fried Hand pies. 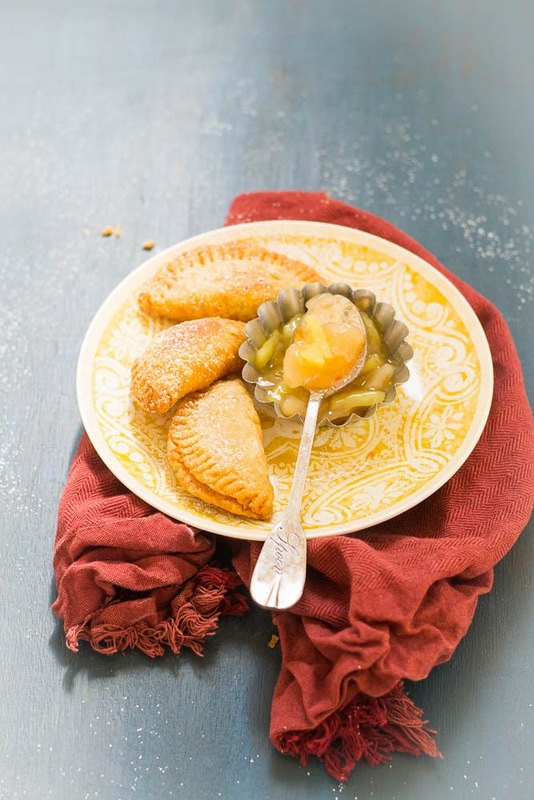 Fried pies is a common southern specialty. 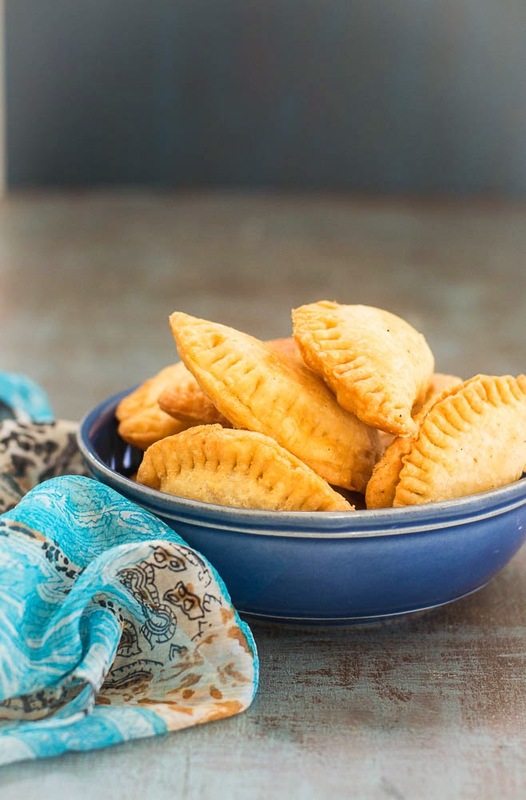 These handmade, crescent-shaped, fruit-filled pastries are very popular in the South and are usually found at church picnics, crossroads country shops. It's a very common scene for the people from south that their moms and grandmas are serving fried pies by the dozens for church suppers and family gatherings. 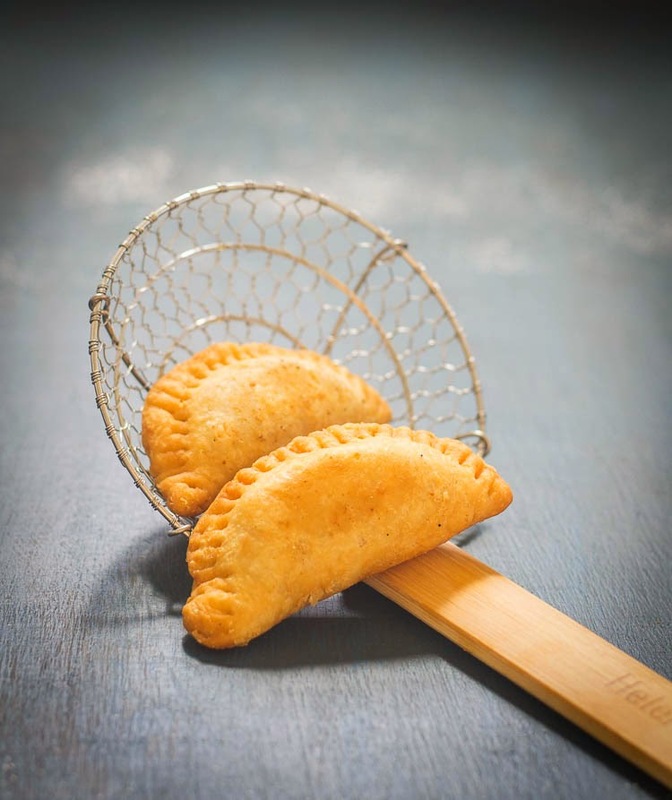 A fried pie is just the perfect size snack, compact and neat. 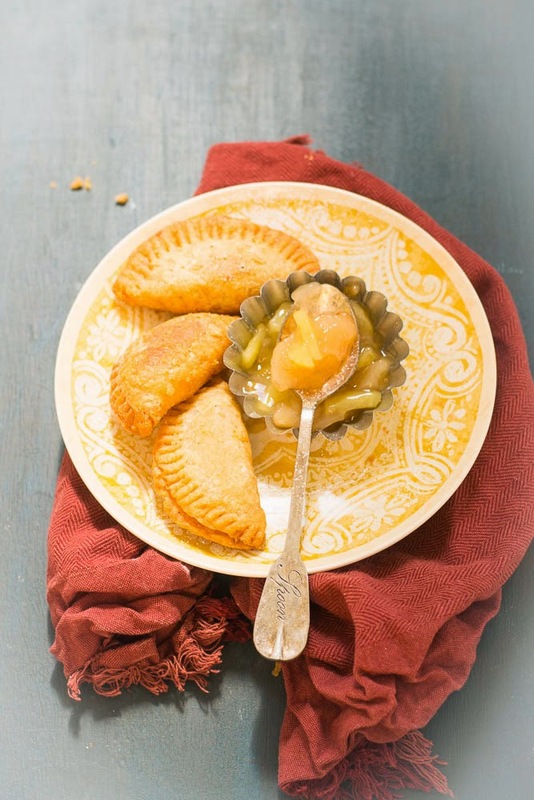 The fat and crisp, half-moon shaped chewy dough is filled with spiced and cooked apples. The other traditional fillings is dried peaches. 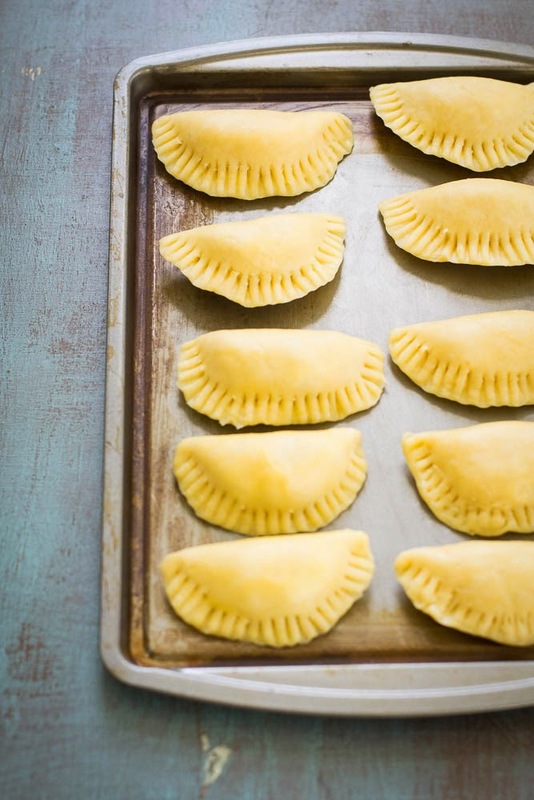 They can be filled with just about anything and fry up in just a few minutes. Try filling them with other fruits or something savory like taco meat, cooked up mushrooms and onions, or cooked sausage. These pies can be made days, weeks, even months ahead of time. When I came across to this recipe couple of months back, it was completely new to me. When I decided to make a fried pies, started experimenting with the filling, adding one ingredient or taking away another. I made dough at home and blended with the correct types of apples. Cooked them all together and then put the filling inside the dough. At the end I fried the pies and cooled them down. I served them in a Christmas potluck party with my neighbors and everybody really loved the crispness and taste of the pies. 1. Combine the four, sugar and salt together, you can use food processor or mix it with hand. Add the shortening and butter and mix it until the mixture looks like coarse breadcrumbs. Add the ice water, one tablespoon at a time and mix it nicely until the mixture comes together. Cover the dough with plastic wrap and refrigerate for at least 1 hour. 2. For the sweet filing : Melt the butter in a large sauce pan over medium high heat. Add the apples to it. Saute the apples, stir it until it become soft. Sprinkle with sugar and cinnamon. Cook it until some of the apple pieces start to break apart. Remove from heat and add the lemon juice and stir in. 3. For the savory filling, add butter to a pan and heat it up. Add the boiled potato pieces and stir it. Add salt and pepper to taste. Remove from heat and set aside to cool completely. 4. Take a deep frying pan and add oil. Heat it up to 365 degrees F. Roll the dough 1/8 inch thick. Cut out eighteen circles. Place 1 tablespoon of filling into the center of each circles. Make a half-moon shape and press out and seal the edges by using fork. Repeat the same for remaining dough. 5. Fry 3 to 4 pies at a time until the both sides become golden brown. Transfer to a paper towel to absorb the excess oil. Sprinkle powered sugar and serve warm. They look very tempting and must taste heavenly.